A woman uses her mobile phone next to an Oppo mobile handset advertisement in Singapore August 7, 2017. 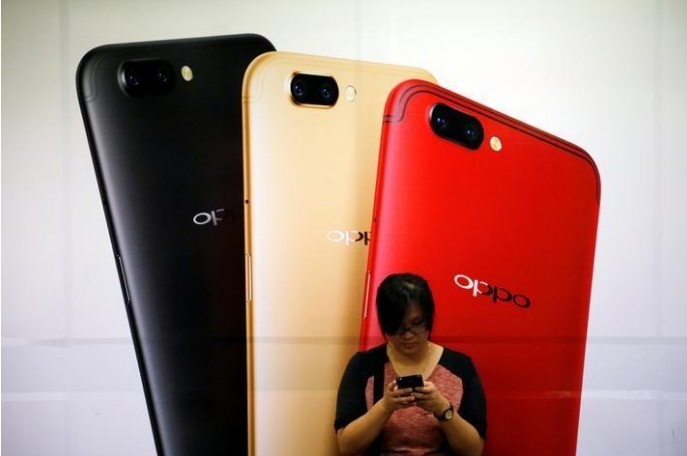 MUMBAI - India has approved smartphones maker Oppo’s request to open single-brand retail stores in the country, paving the way for the Chinese firm to sell directly to consumers and add to its existing wholesale business. The move would help Oppo expand its reach in the world’s third-largest smartphones market, where global giants such as Apple Inc have been trying to gain a foothold. The Foreign Investment Promotion Board approved Oppo Mobiles India Pvt Ltd’s request on Tuesday, according to a notice on the department’s website. The government also approved luxury goods retailer Louis Vuitton’s application to open its own stores in India. India allows foreign firms to sell directly to consumers through the so-called ‘single-brand retail’ route, but companies need to source 30 percent of the products locally. India moved to partially relax those conditions in 2016, exempting foreign retailers for three years from the 30 percent local sourcing rule in a bid to attract more investment.